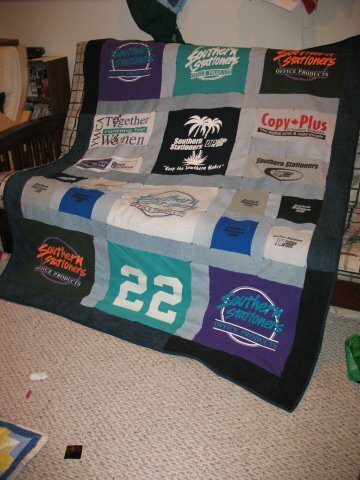 Reason: Diane wanted a Southern Stationers quilt like the one I made for Leslie. Special Fabrics: Diane provided t-shirts. I used my own denim for the rest of the top. The back was purchased at the local fabric warehouse. Flamingoes and Kittens and Chicks, Oh My!